The Book of Hours was by far the most popular book of the Middle Ages. The increased piety of lay people and the rise of the urban middle class in the 13th-15th centuries led to a great demand for these personal devotional books, which were not only tools of religiosity, but symbols of wealth as well. Many of these Books of Hours survive from the Middle Ages, treasured over the centuries as devotional tools, family heirlooms, and beautiful works of art. 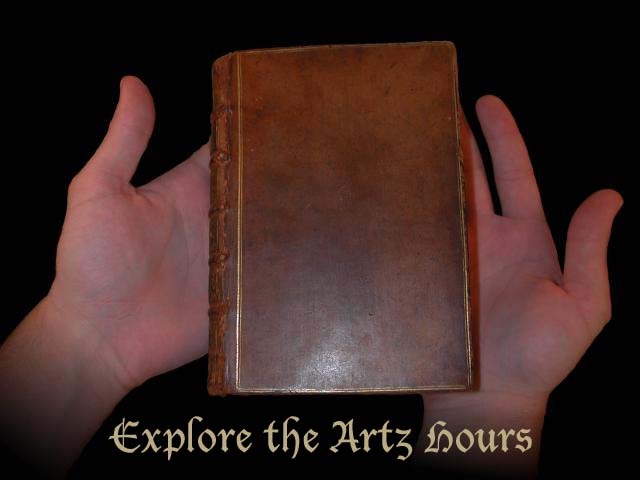 I have been unbelievably lucky to have access to a 15th Century Book of Hours that belongs to Oberlin College Library's Special Collections, known as the Artz Hours after the donor, Frederick B. Artz. Here you will find a digital facsimile of this book--you can look through the book page by page.